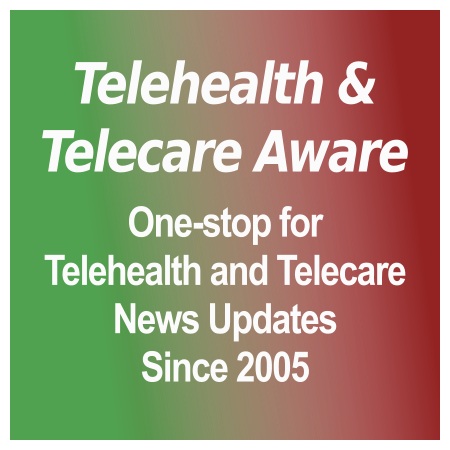 [grow_thumb image=”http://telecareaware.com/wp-content/uploads/2018/01/Vitals-product.jpg” thumb_width=”150″ /]Are we getting to the ‘tricorder’ through the smartphone mod back door? Smartphone clip-ons to measure a vital sign are nothing new–the early 2010s AliveCor device was a snap-on case for the iPhone containing EKG electrodes, now replaced with the Kardia Mobile and KardiaBand for the Apple Watch. But the Vital USA Moto Mod has to be the heavyweight champ of clip-on ‘mods’. It is for the Motorola Moto Z only, and the reveal at CES was by Lenovo, the official global distributor. Release (PDF). The Vital Moto Mod measures five vital signs–heart rate, respiratory rate, blood oxygen saturation (SpO2), non-contact core body temperature, and systolic/diastolic blood pressure–through primarily a finger cuff and sensors. For BP, the cuff uses sensors and a novel inflatable bladder. Vital USA claims that running through all five readings takes between two to three minutes. The results download to the HIPAA-compliant Vital app which will be available through the Google App Store. The app also guides the user through how to take one or more of the vital signs. The Vital Moto Mod is not yet FDA cleared or CE Marked. As CNet remarked, the mod is huge and not exactly something you slip into your back pocket. They didn’t have the opportunity to check it for accuracy against other standard medical devices. It will be available after April 8 for $395 (£290). It appears that the US company, HQ’d in Boca Raton, FL, has an Irish parent, ARC Connected Health. [grow_thumb image=”http://telecareaware.com/wp-content/uploads/2018/01/sensoscan.jpg” thumb_width=”150″ /]An earlier, less clunky entrant, which this Editor first saw at Connected Health 2015 is the Sensogram SensoSCAN finger cover monitor which is a 4-in-1, measuring blood pressure, heart rate, blood oxygen saturation (SPO2), and respiration rate (but not temperature). Measurements are viewable on a screen readout. It is currently available for $499 through their website and is in the process of FDA clearance. In development is the VitalBand, which adds fall detection, medication reminders, goal notifications, and pre-programmed contacts to the SensoSCAN’s four vital signs. Data is stored on both devices and uploaded to their app via Bluetooth. This Editor is impressed with the idea of consumers not having to work with multiple devices but sees two definite drawbacks: size of the Vital Moto Mod and the cost of both up to $499. They are most useful to those who have to monitor multiple vitals for chronic conditions, yet they are both, at this time, stand-alone, not reimbursable, and not integrated with any major telehealth system. It’s yet to be seen if they will be accepted by telehealth companies (which kit their tablets or hubs with multiple devices), payers, and patients. Telehealth provider InTouch Health announced a five-year joint partnership with Asheville, North Carolina-based Mission Health and Philadelphia-based Jefferson Health to develop 10 new models in virtual acute and outpatient care. These use cases are not “typical telehealth” and include stroke, sepsis, and acute heart failure. Jefferson Health has worked with InTouch for nearly a decade, using the InTouch telestroke program for its 30 hospitals in the Jefferson Neuroscience Network. Mission Health is using their telestroke, telepsychiatric, tele-hospitalist, and tele-neonatology programs. The InTouch programs include virtual platforms, clinical workflow solutions, and software. There is no mention here of using new telehealth partner Vivify Health [TTA 19 Dec] for their Managed Kit and BYOD, but to this Editor the most likely place for their systems would be integration into outpatient care. Outpatient service could also be furnished by their new home-based video consult services acquired through their purchase earlier this month of TruClinic. Since 2003, InTouch has rounded up over $26 million in funding through a 2010 $6 million Series D. The fact that their funding has been conservative (compared to the over $158 million Practice Fusion raised in a dozen years before their acquisition earlier this month by Allscripts) and have managed to make several acquisitions in that time either indicates excellent cash flow from existing business or undisclosed sources of private financing. Release. Mobihealthnews. Updated–click to see full page. Amazon is the Scary Monster of the healthcare space, a veritable Godzilla unleashed in Tokyo, if one listens to the many rumors, placed and otherwise, picked up in mainstream media which then are seized on by our healthcare compatriots. According to CNBC’s breathless reporting, they have set up a skunk works HQ’d in Seattle. When they posted job listings, they were under keyword “a1.492” or as “The Amazon Grand Challenge a.k.a. ‘Special Projects’ team.” In late July, these ads for people like a UX Design Manager and a machine learning director with experience in healthcare IT and analytics plus a knowledge of electronic medical records were deleted. Amazon has separate initiatives on selling pharmaceuticals and building health applications to be compatible with Echo/Alexa and other smart home tech. Both have come up in the context of the CVS-Aetna merger, where buying up state pharmacy licenses cannot be kept secret (see end of our 8 Dec article) and that efforts to extend Alexa and Echo’s capabilities aren’t particularly secret. A quick look at Bezos Expeditions, Amazon supremo’s Jeff Bezos’ personal fund, on Crunchbase reveals several healthcare investments, such as GRAIL (cancer), Unity Biotechnology (aging), Rethink Robotics, and Juno Therapeutics (cancer). Not really things easy to sell on Amazon. Alexa and Echo are data collectors as well as assistants–information that has monetary value to healthcare providers and pharma. To this Editor, this is the most likely and soonest option–the monetization of this data and the delivery of third-party services as well as monitoring. Amazon now employs a lot of people. It is large enough to create its own self-funded health system. It’s already had major problems in the UK, Italy, and even in the US with healthcare and working conditions in its warehouses. Whole Foods’ non-union workers are prime for unionization since the acquisition (and also if, as rumored, robots and automation start replacing people). [grow_thumb image=”http://telecareaware.com/wp-content/uploads/2018/01/VitalPatch_Header_Photo_Tablet.jpg” thumb_width=”150″ /]Doncaster UK-based MediBioSense Ltd. has partnered with San Francisco-based Blue Cedar to protect their VitalPatch app on smartphones and tablets. MediBioSense uses VitalPatch in their MBS HealthStream system marketed in the UK in acute care and long-term care setting. Blue Cedar is securing the app through their patented code-injected technology which protects the VitalPatch-collected data from the app to the provider database. The system with Blue Cedar’s security is available directly from MediBioSense. VitalPatch is a single-use adhesive biosensor patch applied to the patient’s chest (see left above). It monitors eight vital signs and activity signs: heart rate, respiration, ECG, heart rate variability, temperature, body posture including fall detection/severity, and steps as an indicator of activity. 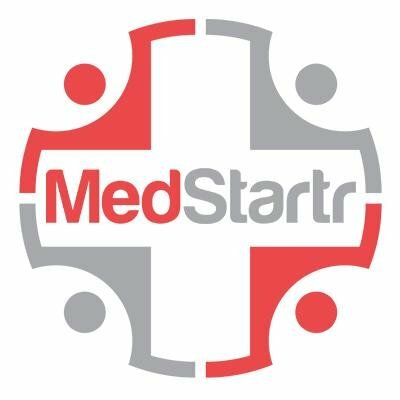 MediBioSense contracted with the US-based developer, VitalConnect, to sell the system in the UK. VitalPatch is US FDA-cleared (Class II) and CE Marked for the EU. One impetus, according to the release (PDF), is the GDPR (General Data Protection Regulation), the pan-European/UK data-protection law slated to take effect in May. This not only applies to European Union citizens’ personal data but also requires reports on how organizations safeguard that data. Blue Cedar, which this Editor has previously profiled [TTA 3 May 17], has developed code-injection technology that secures data from the app to the provider location on their servers or in the cloud. It secures the app without the device being managed. Devices have their own vulnerabilities when it comes to apps even when secured, as 84 percent of cyberattacks happen at the application layer (SAP). Blue Cedar’s security also enables tap-and-go from an icon versus multiple security entries, thus quick downloading from app stores or websites. For companies, the secured app provides granular analytic reports about users, app usage, devices, and operating systems which are useful for GDPR requirements. Blue Cedar’s latest release of app security is Enforce, to secure existing mobile apps using in-app embedded controls to enforce a broad range of security policies. It is sold on the Microsoft Azure cloud platform and is primarily targeted to the value-added reseller (VAR) market. Iron Bow Technologies’s setback with their VA contract confirmed. Iron Bow, which partnered last year with Vivify Health to provide telehealth services to the US Department of Veterans Affairs, received an unfavorable ruling on the US country of origin of the Vivify Health system that essentially stops the contract implementation. An interesting Federal regulatory disconnect is that the FDA considers the Vivify tablet a regulated medical device. CBP considers it a communications device as the tablet transmits data from other medical devices but does not take those measurements itself. Vivify Health has publicly used in implementations with health organizations Samsung tablets. It is not known if the tablet reviewed by the CBP is manufactured by Samsung. We have received an unfavorable ruling from United States Customs and Border Protection (“Customs”) regarding our proposed solution for the Home Telehealth contract. We respectfully disagree with the findings by Customs and have appealed the matter to the United States Court of International Trade. We are currently in discussions with our customer regarding the possible options for a path forward. Vivify has not responded to date. Certainly, this is a sizable financial loss to both Iron Bow and Vivify if they cannot go forward with the VA, whether through a court decision or a different procurement process for the tablet to qualify it as US origin. Last February, we reported that the VA awarded the billion-dollar five-year Veterans Health Administration (VHA) Home Telehealth contract to four providers: incumbent Medtronic, Iron Bow, Intel Care Innovations, and service-disabled veteran-owned small business 1Vision. The award amount for each was $258 million over a five-year period, re-establishing the VHA as the largest telehealth customer in the US. All four awardees had in common that they were prior Federal contractors, either with the VA or with other Federal areas [TTA 1 Feb 17]. Medtronic and Care Innovations had long-established integrated telehealth systems but Iron Bow and 1Vision, as telemedicine and IT service providers respectively, did not have vital signs remote monitoring capability. In the solicitation, Iron Bow partnered with Vivify [TTA 15 Feb 17]. For 1Vision, it took nearly one year to announce that their telehealth partner was New York-based AMC Health, an existing provider of VA health services. It was also, for those in the field, a Poorly Kept Secret, as AMC Health had been staffing with VA telehealth veterans from the time of the award. (The joint release is on AMC Health’s site here.) The reason for the announcement delay is not known. AMC Health does not use a tablet system, instead transmitting data directly from devices or a mobile hub to a care management platform. They also provide IVR services. Vivify has moved forward with other commercial partnerships, with the most significant being InTouch Health, which itself is on a tear with acquisitions such as TruClinic [TTA 19 Dec 17]. Hat tip to two alert Readers who assisted in the development of this article but who wish to remain anonymous. [grow_thumb image=”http://telecareaware.com/wp-content/uploads/2017/11/Babylon-NHS-tube-advert.jpg” thumb_width=”150″ /]Apparently Babylon Health’s ‘GP at hand’ is a hit with Londoners, despite the requirement to shift GP practices. The Evening Standard reports that the Lillie Road Surgery in Hammersmith, one of the five London practices in the program (plus Victoria, Poplar, Euston, and Fulham), increased its patient list by nearly 7,000 (4,970 in November to 11,867 last month). (Was it the Tube adverts?–Ed.) No information is available on increases at the other surgeries. Helping matters may be the UK flu epidemic, where the incentive to stay at home and have a video consult would be great (and helpful in stemming the spread). These consults on average are available 2 1/2 hours after booking, which to us Yanks used to independent services seems a great delay. One-third are reportedly out of office hours. Duration of the visit is about 10 minutes, which is standard for in-person. What is suspected is that many do not realize that the GP at hand signup also changes your GP to the program. The GP partner quoted in the article claims that homeless people, those with mental health and multiple chronic conditions–not just the young and mobile-savvy–have signed up. This Editor will concur with others that it’s time for telehealth to be integrated into the NHS, but the tying of it to specific practices which alters capitation is a large wrinkle which needs ironing out. Our earlier coverage here. Hat tip to Roy Lilley.